Perfect to spread the word about your services online. ​Affordable Website Design with a Professional Result! 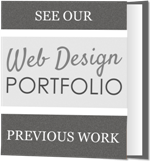 ALL-INCLUSIVE FIVE PAGE WEBSITE DESIGN ~ Just $499! Get your business online with our affordable website design package! A full five page website with the template and pages designed to your specifications. We will also source two images to use on the website if you need them, plus provide up to two hours of graphic design services! CUSTOM DESIGNED WEBSITE - Your full website, designed just as you request, meeting your specifications. We will work with you to create a design you love! MOBILE RESPONSIVE DESIGN - Your website designed to be responsive across all devices and browsers! One website, mutliple displays, to fit the needs of your visitors. ACCESS TO THE WEBSITE EDITOR - Update, edit and change your website anytime, anywhere. Plus, receive unlimited support if you need a hand! 2 STOCK IMAGES SOURCED - If you do not have images of your own, we can source two for you included in the package - just let us know what you need! ADMIN - Linking your domain name to your new website, account setup and setup of one email address for you. If you need more email accounts, 20 are included in the plan for you to use! Purchase SEO with a web design package and receive SEO on up to 5 pages for just $595! Combine and SAVE $380 on SEO fees! Full SEO will be applied to your website, along with site submission, sitemap generation and more – no additional charges, no on-going monthly fees! Need more pages designed? Like us to source more images for you? After something else? Not a problem - just let us know what you need and we will get back to you with a customised quote! Showcase your style, services and much more. A professional website design, at an affordable price! 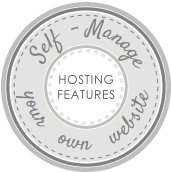 All our affordable website design packages are hosted on an easy to use system to manage, edit and update your site whenever you need to - along with unlimited support if you have questions or need a hand! Standard hosting is $29.95 per month - read the features list here!